Solar Panel Charger for recharging portable electronics using a USB cable power connection. 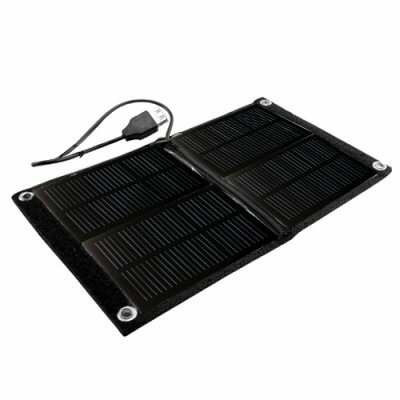 This thoughtfully designed folding solar panel charger is ideal for the wilderness adventurer or anyone planning an extended trip away from any electrical connections. The pocket sized solar panel can recharge any electronic product capable of recharging from a USB connection. This model has a black canvas backing, four eyelits and velcro strip for maximum carrying convenience. The CVSBZ-4900-Black is only available from your source for wholesale direct from China electronic products, Chinavasion. I am really satisfied with occurs who function very well and which am useful.